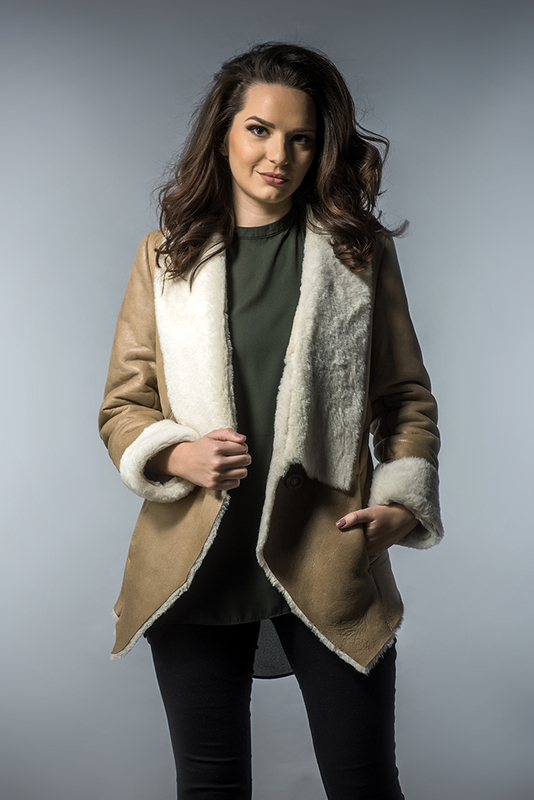 Jacket made of merino lamb fur, specially designed for women. This waistcoat is ideal for a casual-elegant style. The jacket is created on the outside of lamb nappa leather, which is resistant to moisture and dirt, and the jacket’s collar, which continues off the closure jacket is trimmed lambskin, as well as its cuffs. The interior is made of merino lamb fur trimmed to a thickness of 8 mm. This piece of clothing closes with a button. A modern cut jacket that makes it a good choice at any time of the day. The colors available for this natural fur jacket model are gray and light brown.